Due to a recent investigation by The Daily Caller News Foundation (TheDCNF) which discovered major flaws in Google’s fact-checking feature for Search and News, the feature has now been suspended. The company has revealed no information as to when the feature will be reinstated, if at all. 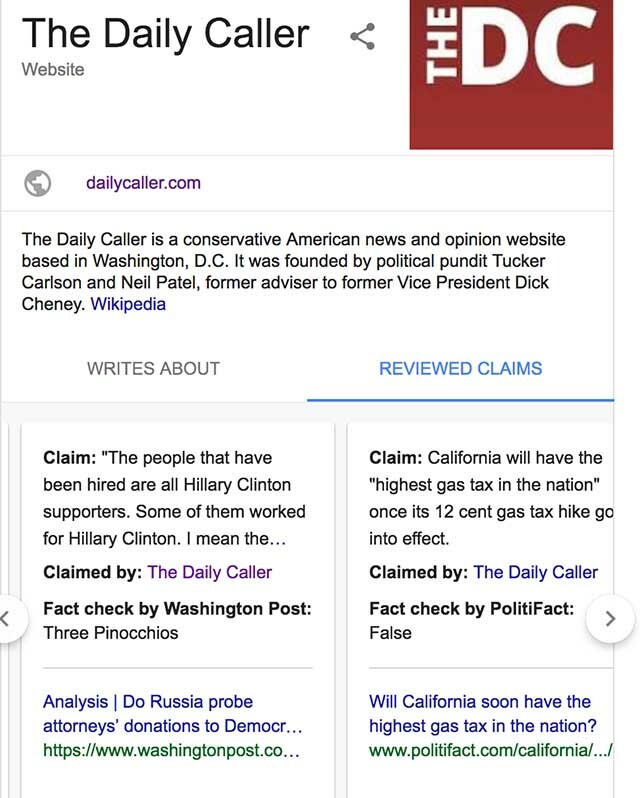 A report on The Daily Caller highlights two main issues with the fact-checking widget, which appears on the sidebar with Google’s search results. Firstly, the legitimate outlets chosen by the feature were mostly ones with conservative audiences, while outlets like Vox, Slate, The Huffington Post, etc., which are seen on the liberal side of the political spectrum were not included. Secondly, several of the fact-checks conducted by the widget were wrong. One of the articles, which was erroneously fact checked, claimed that another member of special counsel Robert Mueller’s investigative team was a donor to the former secretary of State Hillary Clinton and former President Barack Obama. The widget revealed that the fact-check was claimed by The Daily Caller, however, the article made no such claim and the quote cited by the widget didn’t even appear in the article. “We went back and double-checked the story and the information submitted to Google, and The Daily Caller was not mentioned at all, even in links…We clearly labeled the source, so I cannot speak to how The Daily Caller ended up being erroneously listed as the source of the fact-checked quote in this case”, Kristine Coratti from The Washington Post told TheDCNF. 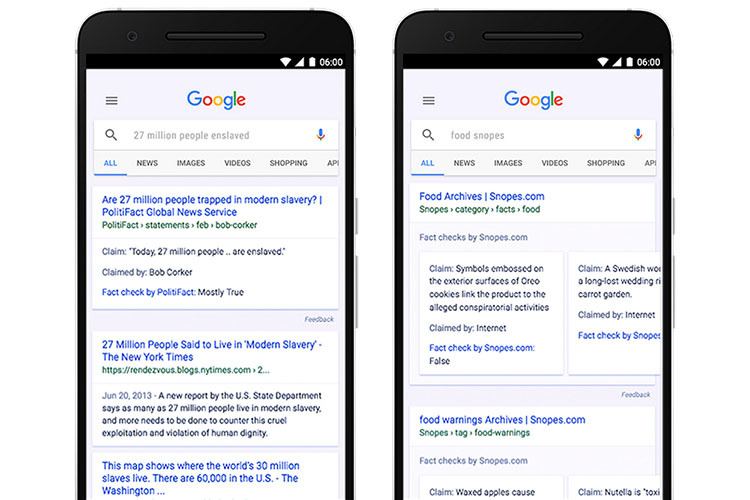 Google engineers are reportedly working on improving the fact-check system during its suspension and the company has revealed no information regarding a re-release. “As we continue to work on addressing this problem and assess how best to serve our users…we are putting the experiment on hold.”, the Google spokesperson added.